I love pretty much all things automotive, but occasionally I’m not sure about the direction that some people take their builds in. 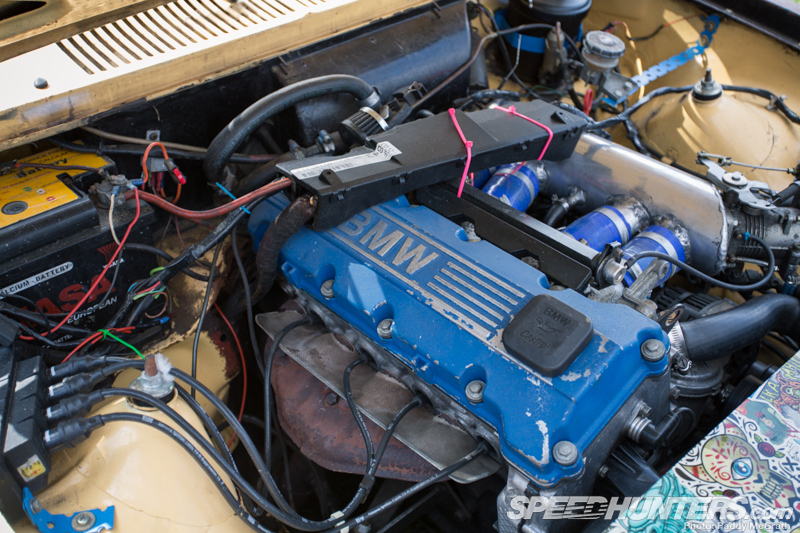 I am sure that as a reader of Speedhunters you feel much the same. In fact, judging by some of the comments that get posted on stories, I know for sure that you don’t all like the same things. And, as the age-old saying goes, ‘if we all liked the same things, life would be very boring’. This is true, of course. 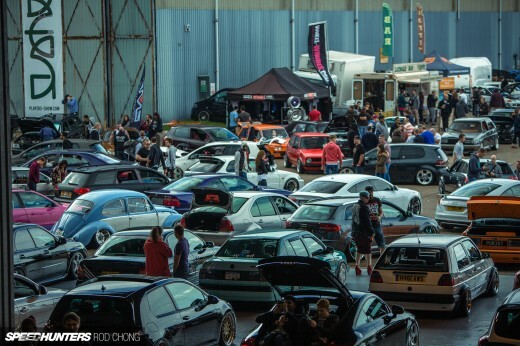 As we walk around car shows, meets and festivals throughout the year I really enjoy discussing cars with the Speedhunting team and learning about the tastes within the crew. I also being educated. Paddy knows a lot about BMWs and I almost always learn something new about the Bavarian brand whenever I hang out with him. Rod knows stuff about Porsches. Larry is your man for tips on dealing with sleep deprivation, whilst Jonathan is a like a walking motorsport encyclopedia. Suffice to say, much like the group of friends you roll to car events with, we are all different humans. And we have opinions, that’s for sure. For the most part, we agree on the cars that we’re into – even if you guys don’t always share the same view! This first-gen Celica was really cool, though. The classic shape is beautiful and the build had a real sense of fun. I think that everyone should have a ’70s Celica in their dream garage. Retro loveliness. Seriously tuned cars in the Netherlands are a rarity and this mega-crazy Honda EG Civic is apparently one of the lowest that drives in the flat Dutch land. … and with its trams, speedbumps and multiple ramps, the city is no place for a car with this little ground clearance. Hats off and respect where it’s due. This is dedication to the low-rolling cause if ever I did see it. And so to our first solid opinion divider of the day. 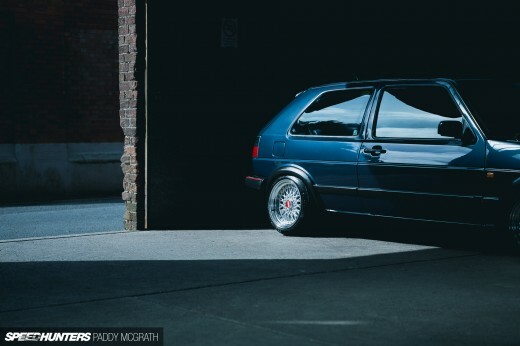 Paddy cannot get his head around the Harlequin edition Golf MkIII that you see here. It broke his brain and caused him considerable pain. I however, want one. I think the whole concept is awesome. These special edition Harlequins were produced by swapping the body panels about from four different coloured Golf models. 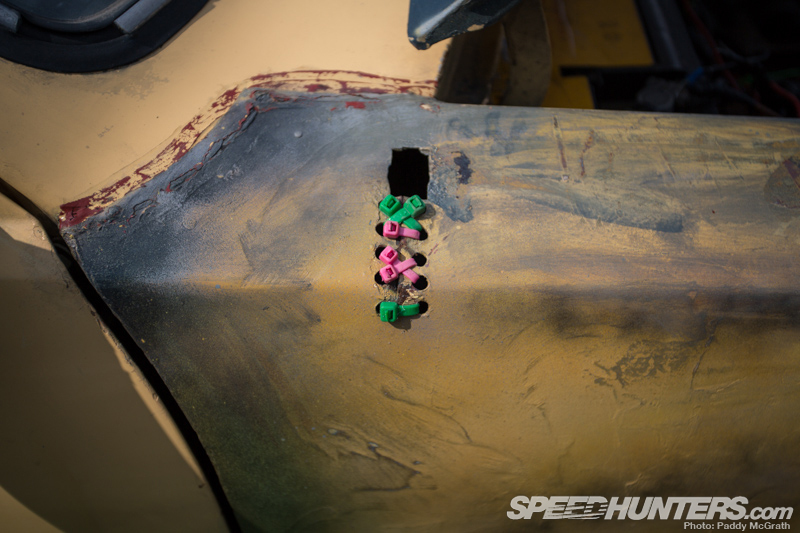 They are designated by their base color, which is the colour of the car with no bolt-on body panels attached. The base color is not repeated on any of the other body parts and so this car’s base colour was red. Various different wheels were offered, but this example now rolls on BBS. Love it or hate it, the Harlequin is definitely different. Tuning vans has always been a bit of a weird one. I like these different looks being applied to the VW Caddy and I hear a lot of people wishing these were sold in the US. 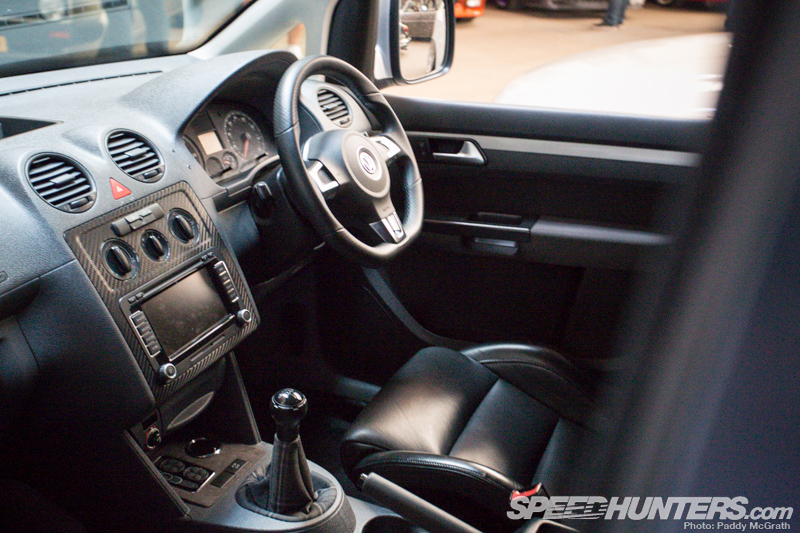 Based upon the MkV/MkVI Golf platform, the interior is a nice place to be. With the right set of wheels and a chassis drop the Caddy looks cool. 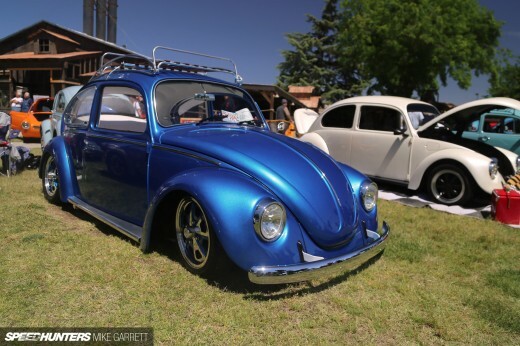 I would go for an almost stock look with a big-power GTI motor for the ultimate sleeper. They have loads of potential and I guess Paddy likes these a lot since he used to own one. … and some zip ties equals? Character! It equals bags of individuality and I celebrate this car massively. It’s awesome. What do you think? 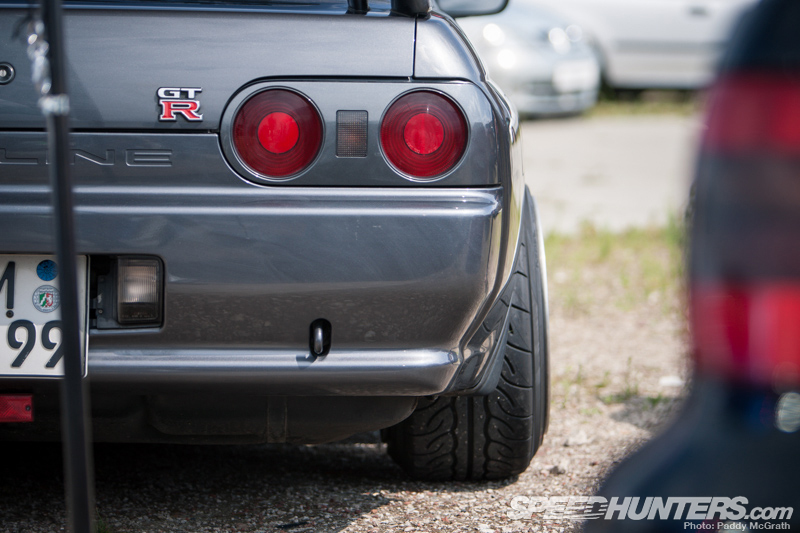 The iconic BNR32 GT-R rear is something to behold. 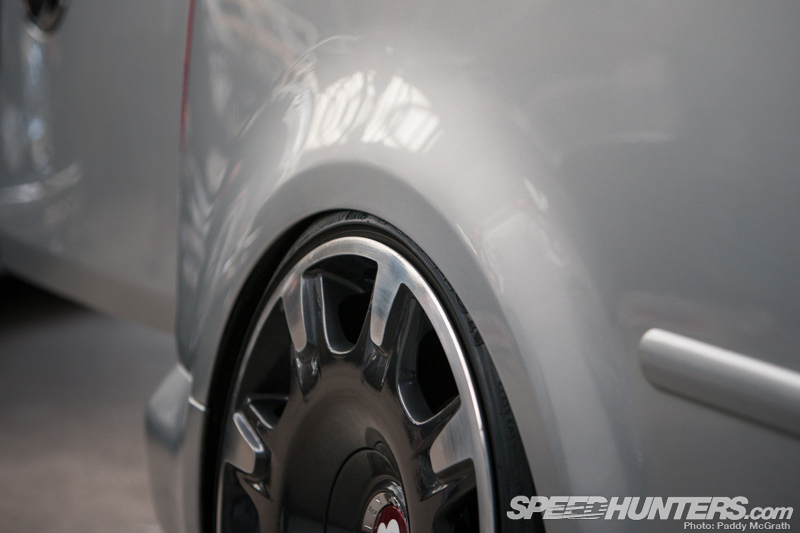 But this highly aggressive fitment – using super-wide 16-inch splits is not something you usually see. 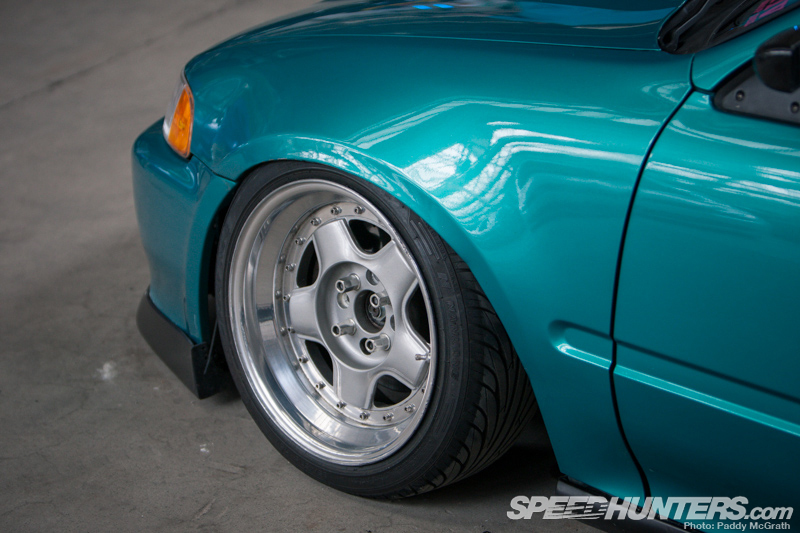 And as for the low ride height, well that’s pretty rare, too. You can’t help but be drawn in to take a closer look. 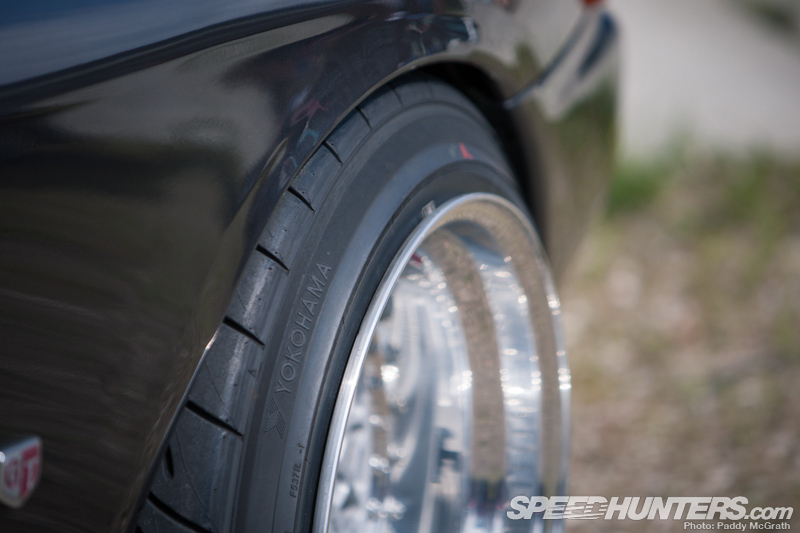 The RB26-power is laid down via some pretty stretched Yokohoma AD08 rubber. How do you feel about that? For me, it’s all about having fun and I bet this car is good fun to drive. Definitely up with the more mental wheel combos I have seen over the years. …now I’m kind of into it again. 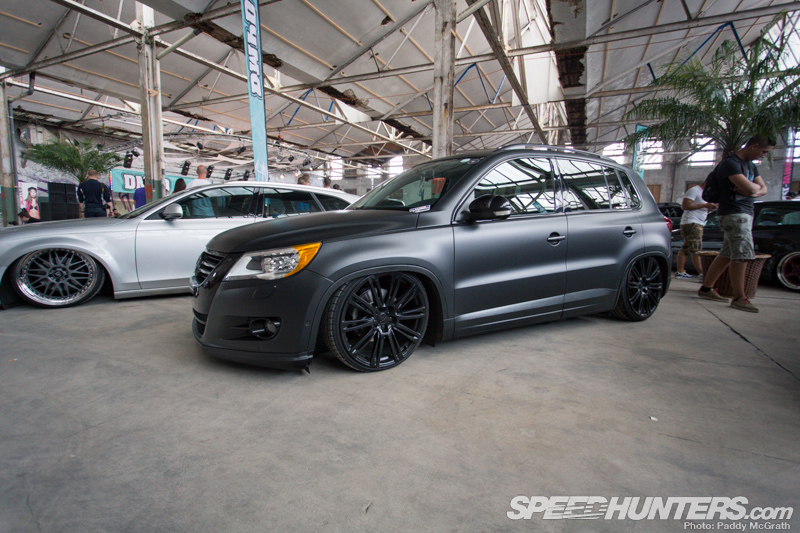 I quite fancy building a matte black car again. The Volkswagen Tiguan is also based on the Golf. Running air ride and some nice gloss black details that mixed-up the textures, this was a winner for me. I think this is one of the most eye-popping TTs I’ve seen in a while. 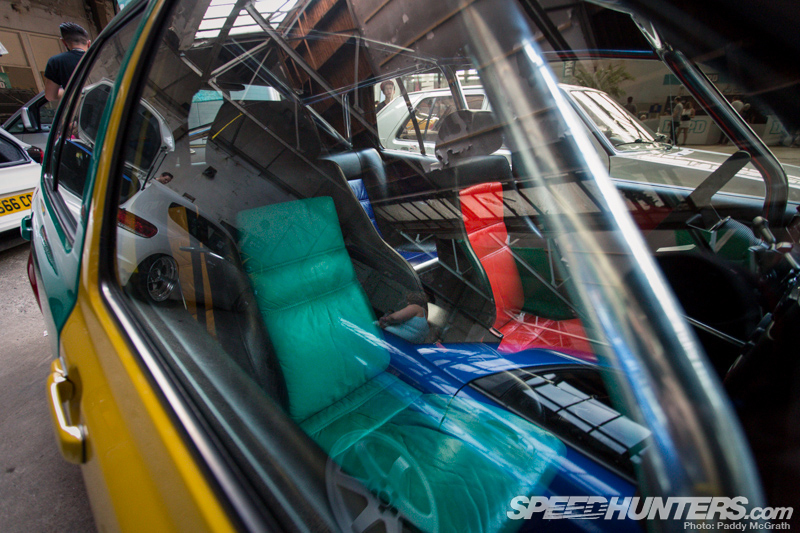 The exterior was cool, but that interior just made you want to take one step closer for a better look. Business from the outside and party going on inside. Nice. 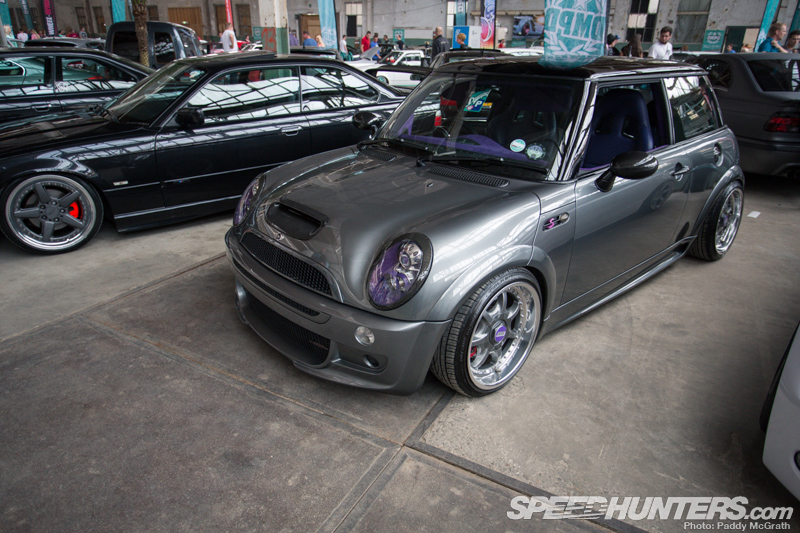 This MINI Cooper S had a similar vibe, but it was a little more wild on the exterior side of things. 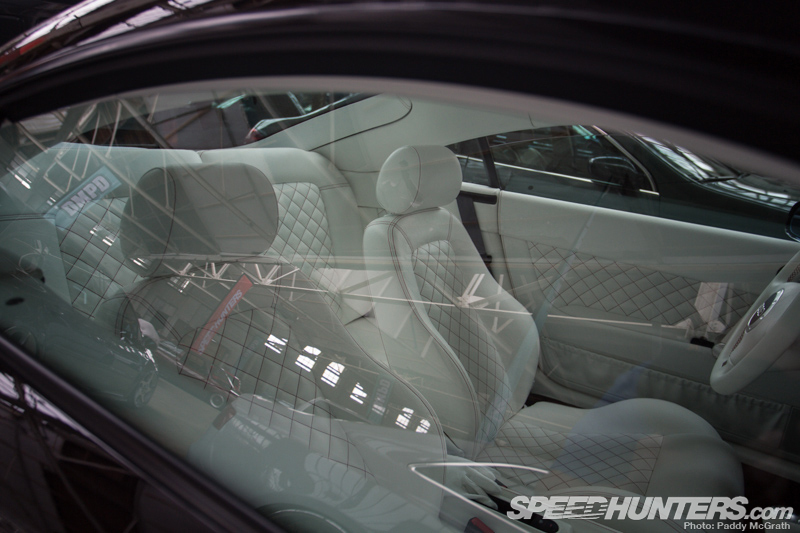 Inside the owner had mixed leather and Alcantara. 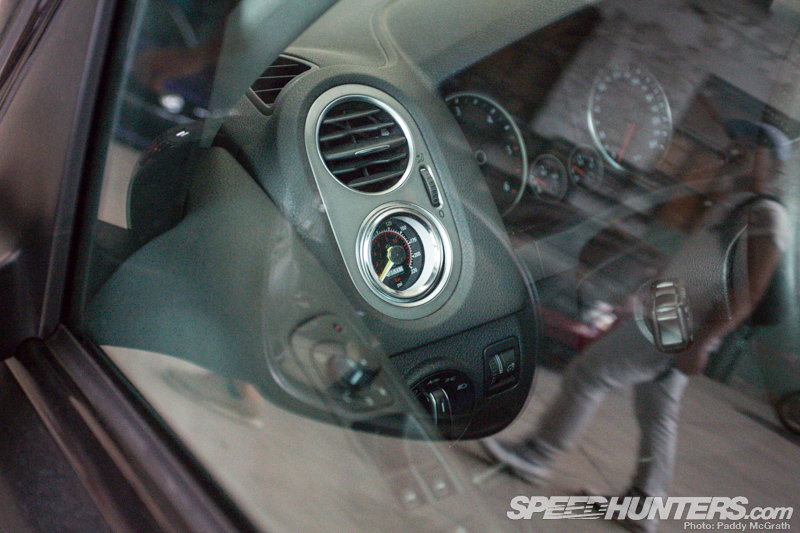 Whatever you think of the R53 MINI, the exhaust note is insane. Everytime I hear one blast up the street with a whine from the supercharger I immediately want to look at the used car ads. As we conclude the coverage from the awesome DMPD event, I can say a few things for sure. We all have different opinions on things. Everyone should own an old school Celica. And if I win the lottery I will definitely be buying Paddy McGrath a Harlequin Golf as a present from me to him. I wonder how angry he would get if he had to drive a multi-coloured MkIII Golf for the rest of his days?